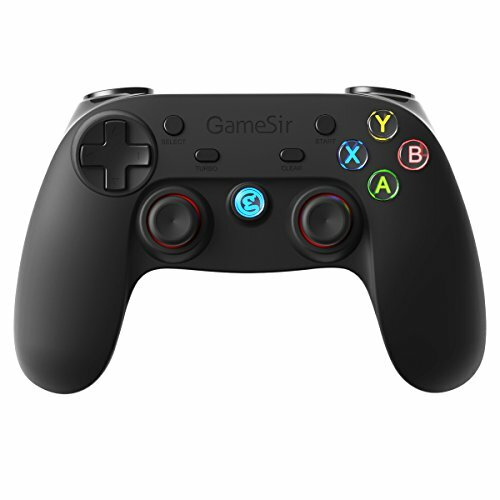 GameSir attaches great importance to demands and needs of consumers, it is the constant support from them that brings GameSir great motivation to make continuous innovation of its products. Lasts for 18 hours working time, built-in rechargeable battery, double shock vibration. Multi-Platforms: Android/Windows Vista/7/8/10/SteamOS/PS3. Connection: 2.4GHz/Bluetooth 4.0/ Wired connection. Free App “Happy Chick”game emulator brings you more authentic gaming experience, you can scan the QR Code in User Manual to install it.